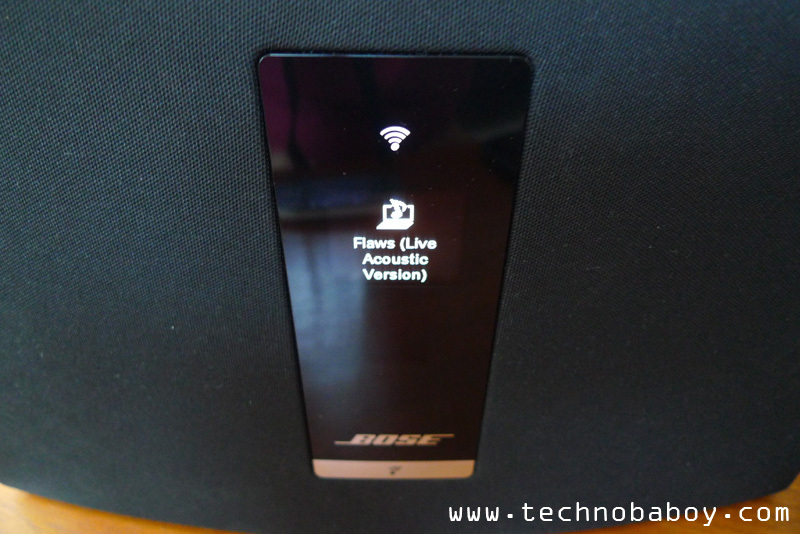 I found out about Bose’s SoundTouch WiFi system when I attended their launch event a few months ago. 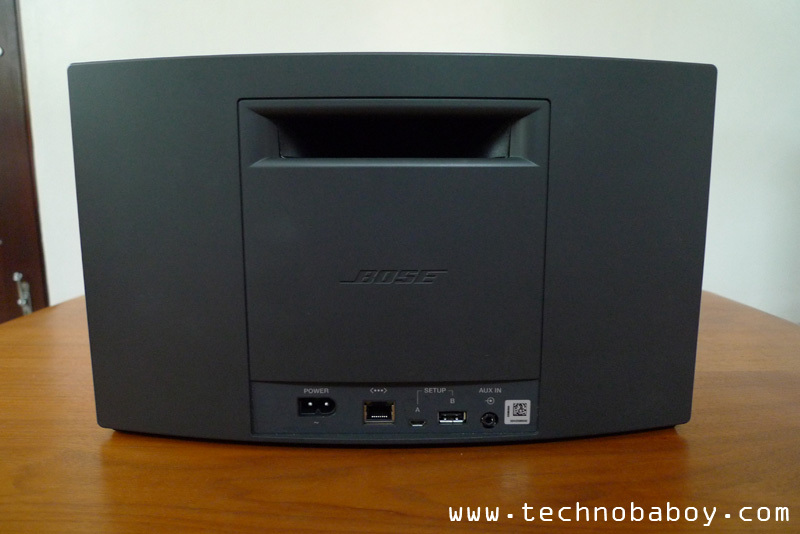 I was already impressed with the SoundTouch 20 back then, so imagine my excitement when I was sent a review unit to play with. 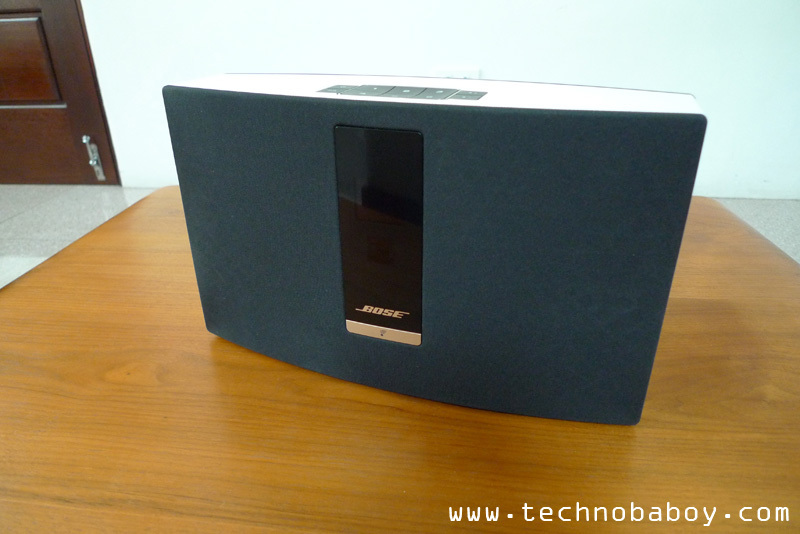 The SoundTouch 20 is a compact speaker system that measures at about 7″H X 12″W and 4″D. 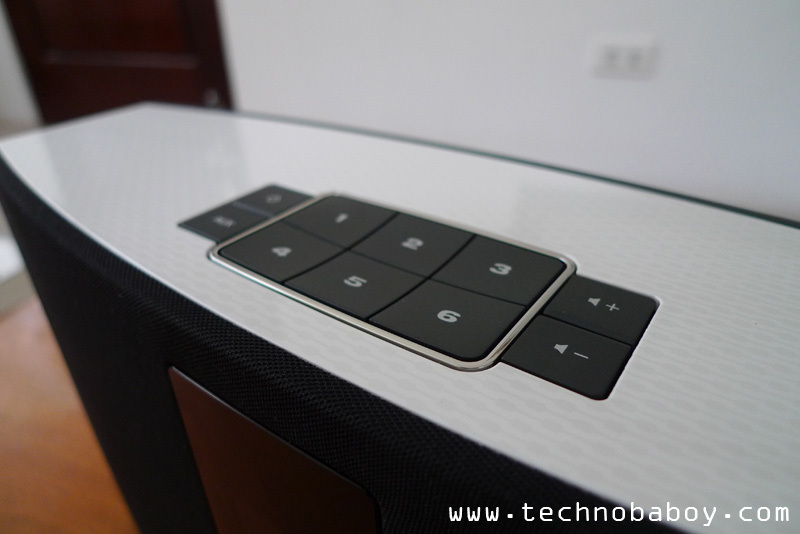 The top of the unit has the power button, auxiliary input, six preset buttons, and the volume up/down controls. The five-line OLED display located front and center shows track data. Buttons I found missing on the console are the play/pause and mute button. At the back you have the bass port, power port, Ethernet port, USB port and the aux in. The USB port is used for setting up the unit with a computer. The design is subtle but beautiful. The clean lines and white/gray/black color scheme add to its premium looks. It’s something that will definitely look good in your sala or bedroom. Surprisingly enough, setup was quite easy. I found it confusing at first because I tried to set it up on my own. Eventually, I just followed an instructional video on YouTube. Just connect your unit to a computer via USB, install the necessary software, and follow the instructions. So next time, I promise to read the instructions first before complaining. Lesson learned. 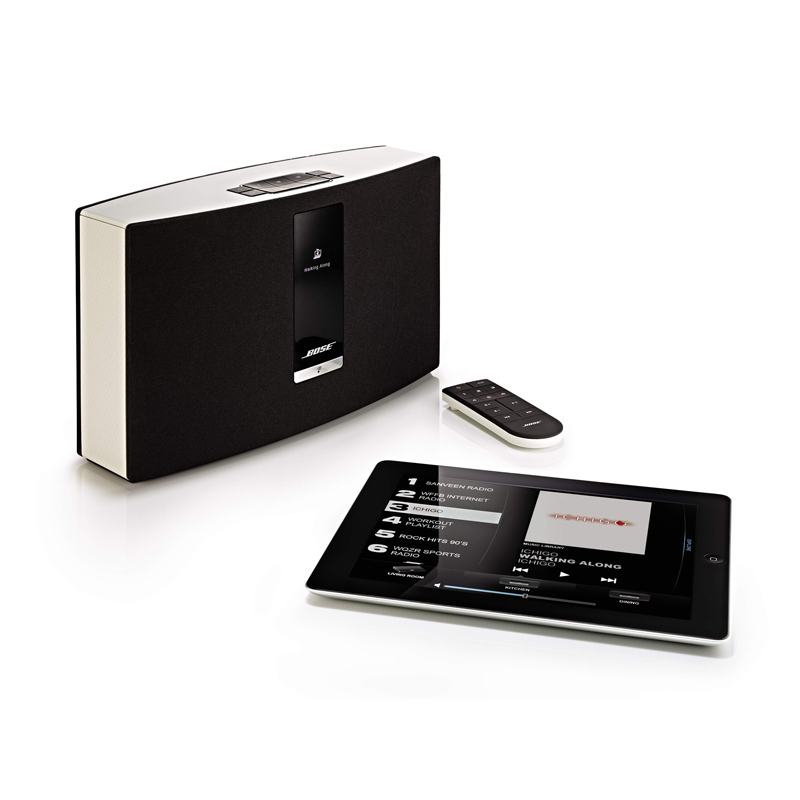 The SoundTouch 20 speaker system connects via WiFi to your computer, tablet and smartphone. 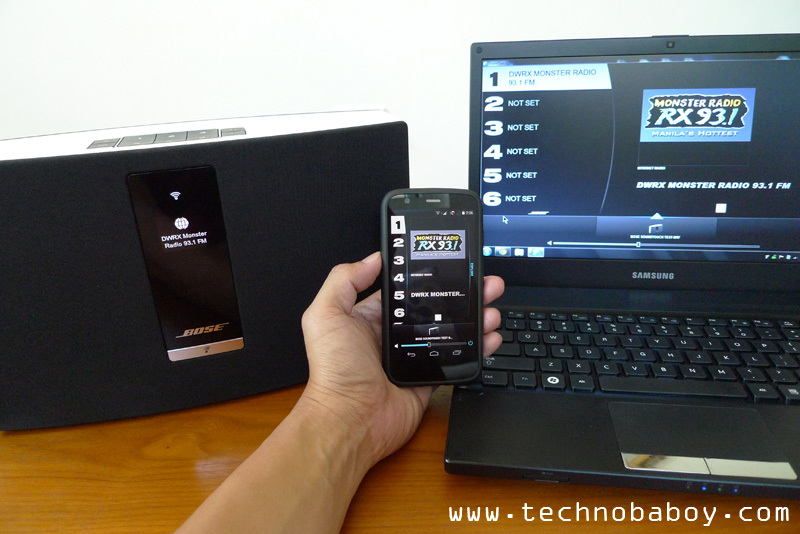 Just download the SoundTouch App from either Apple’s App Store or Google’s Play Store. 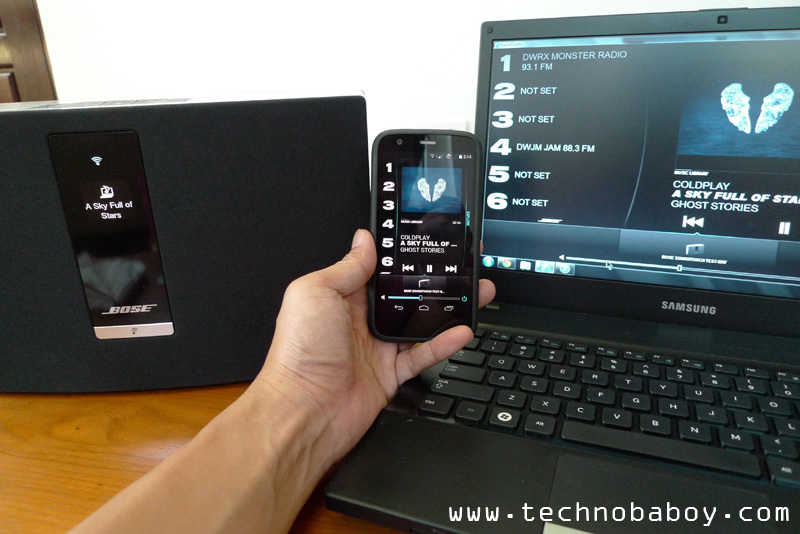 With the app, you can select and play the presets, and play songs stored on your PC via the iTunes software. Besides WiFi, you can also use a “wired” Ethernet connection. Connecting via WiFi is more convenient, for obvious reasons, but its good to have that option there. It’s surprising how much power can come from such a relatively small speaker system. It’s definitely loud. And sound quality is rich and excellent. I love how deep and powerful the bass goes. I played different genres of music, and all generally sounded good. Even the vocals were clear and impressive. Even on high volumes, you would be hard pressed to notice any distortions. Even internet radio music sounded great. Although local stations weren’t as loud and clear, compared to international stations. 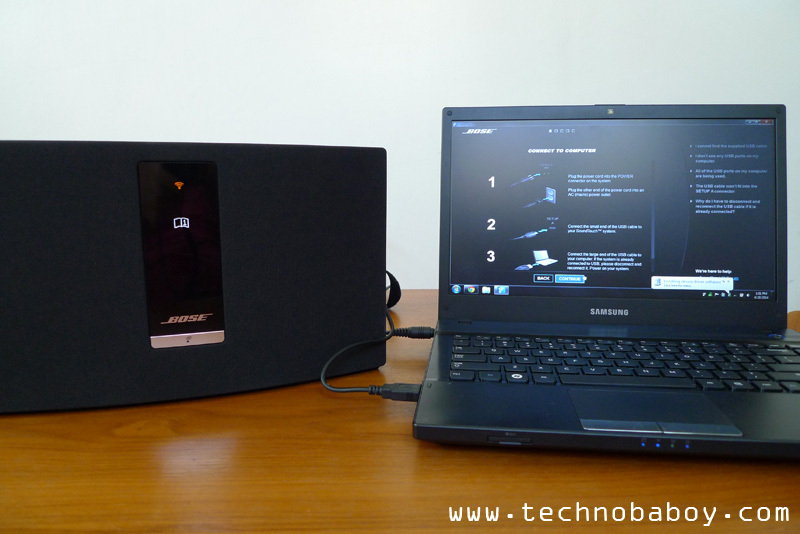 The Sound Touch 20 is a wonderful speaker system to have around, especially if you like internet radio. 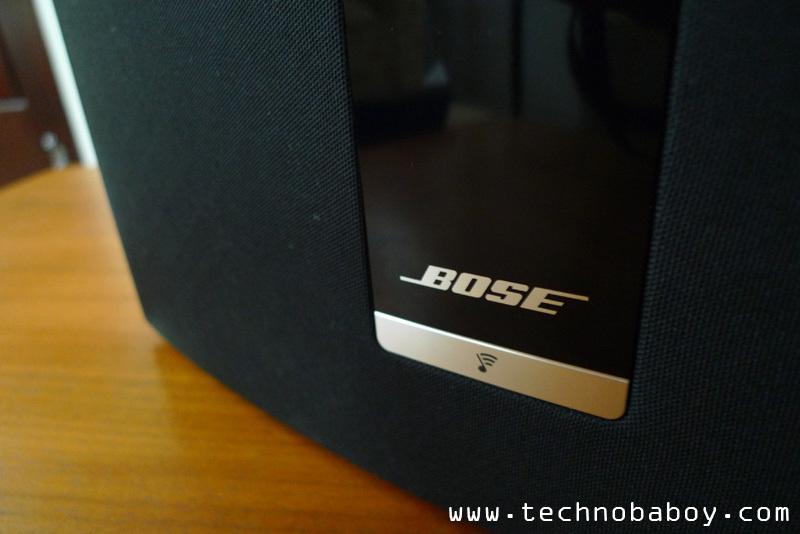 It’s a premium device that is well-made and at the same time offers impressive sound quality. Definitely something to consider if you have the budget for it. And speaking of budget, the price is probably the only snag I can think of that can deter most from buying one. 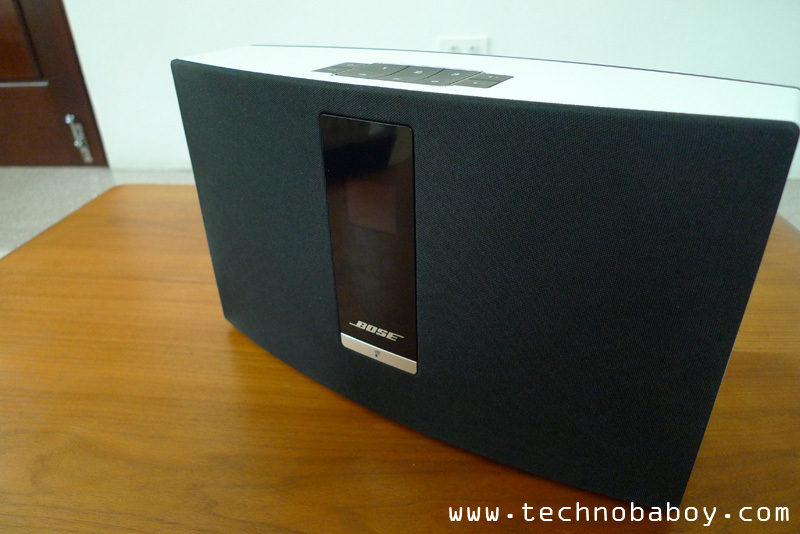 The SoundTouch 20 system retails for Php29,500, and it’s available exclusively through Bose retail stores in Metro Manila.